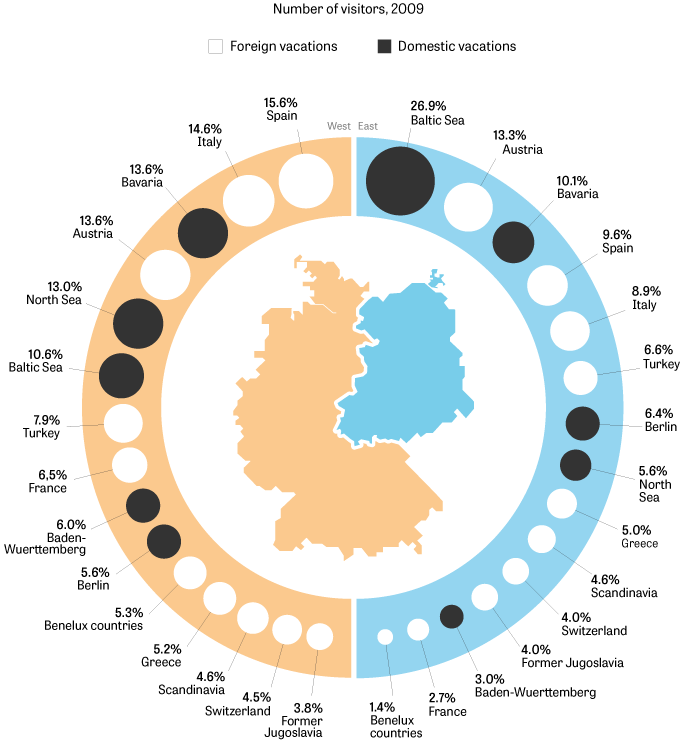 What does Germany’s reunification nearly a quarter of century later look like? Can you touch it? See it? Germans worked hard to make their decades of division disappear. Only a few meters of the Berlin Wall remain standing. Much of what was once communist East German has been torn down, rebuilt or paved over. 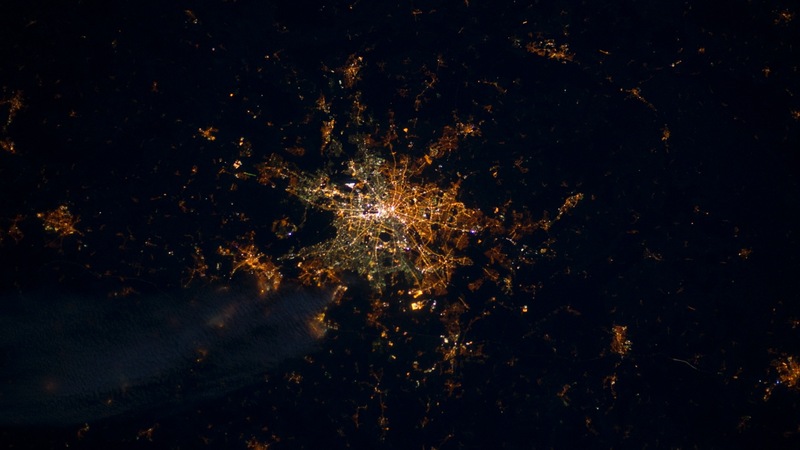 It’s as if the former border with West Germany simply vanished. Even the memories of 1989 are fading with the years. Or is there something still there? We sought images, graphics and statistics to tell the story of German unity – or its continued division. We found data that speaks more precisely than many direct witnesses to these historic events. For example, our statistical maps. Some show East Germany’s borders so clearly, they look as if they were created before the Wall fell in 1989. What a contrast to the reunified Germany we’ve come to know. Walking through Berlin today, you’ll need a guidebook to find traces of the city’s Cold War separation. The Wall’s death strip has become a place to picnic. These days, tourist buses park where trigger-happy guards once patrolled. It’s as if the city itself wanted to forget its painful past. Even a quarter of a century later, differences both small and large divide Germans hailing from the two halves of their country. One quick example? They prefer different vacation destinations. Easterners also put their children in day care, and most get flu shots each year. The eastern population is older. Many children of reunification sought their fortunes in the west and simply stayed. The following graphic helps illustrate what happened in eastern Germany after 1989. The birth rate plummeted as economic upheaval caused many to fear for their very existence. While the recent crisis roiling the eurozone has terrified many western Germans, it has left easterners cold. They’ve already lived through calamity and survived. A hard-fought nation with strong regional identities, linguistic diversity has always been one of Germany’s cultural assets. But having seven different names for one single object highlights just how strong the country’s penchant for dialects really is. The temporary separation into East and West Germany has enriched the language even more. 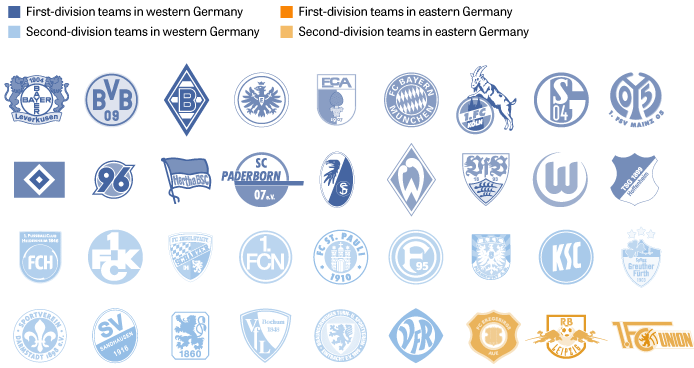 The east, however, is drastically underrepresented in German professional soccer. The reasons include weak finances, mismanagement and the lack of necessary sporting networks. The East Germans took to the streets in 1989 to demand freedom of speech and the right to travel abroad. But they also wanted the standard of living available in the west. Some consumer goods would appear to be a crucial part of daily life. One of the few places where the country’s Cold War division is still visible is the former inner German border. The watchtowers and walls are gone, but the dividing line is still there. Is that a bad thing? Do all the differences have to be plastered over, all the scars removed? The environmental group BUND wants to place the 1,400-kilometer long strip now known as the Green Band under protection. Devoid of people for decades, the former border has become home to 1,200 species of endangered plants and animals. The former death strip has become a refuge. 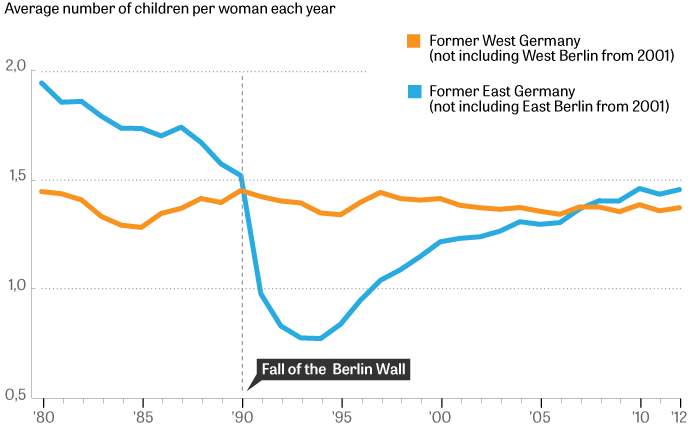 For better or worse, the rest of what was once East Germany hasn’t. We are interested in your views on whether eastern and western Germany are still noticeably different 25 years after the fall of the Berlin Wall. Join our discussion (in German). The first 25 years: We want to map the country that has emerged since the fall of the Wall. Is German unity real? Is that even necessary? Where is reunification still taking place? We believe this process will continue for some time to come. You can find all of our articles on the topic here (in German). 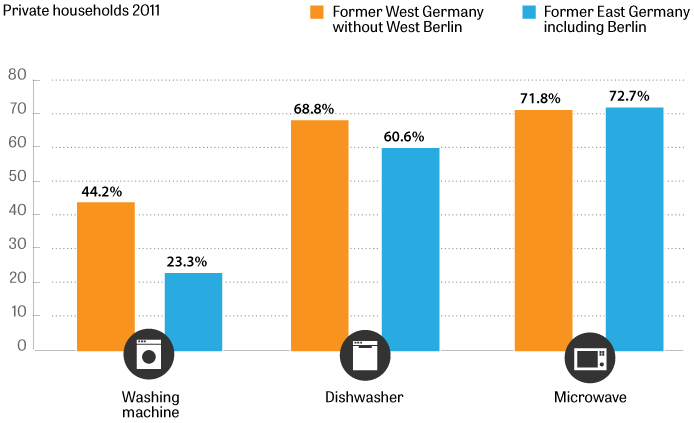 Appliance ownership: destatis Datenreport 2013 "Private Haushalte – Einkommen, Ausgaben, Ausstattung"